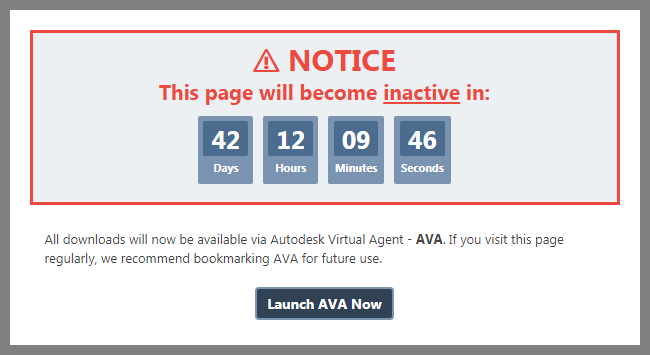 The good news is that the same functionality is still available, through AVA, the "new" Autodesk Virtual Agent. AVA is not really new; she has been around for some time now, answering general questions. What is new is now AVA can provide the download links that the old Virtual Agent provided. If you click on the "Launch AVA Now" link, you will be taken to AVA, pre-set for downloading. 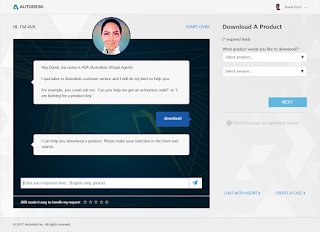 If you manage a number of users and find yourself frequently downloading installation files from the Autodesk site, bookmark that link. Or, you can go to the main link to AVA, and type in download as your first response to get Download A Product to show on the right side.